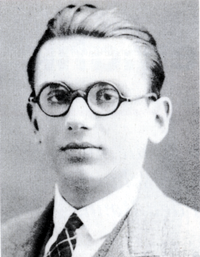 Kurt Friedrich Gödel (1906 - 1978) was an Austrian-American mathematician and logician best known for proving the Gödel's incompleteness theorems. He showed that within any axiomatic mathematical system there are propositions that can not be (dis)proved using the axioms of the system. He is generally considered as one of the greatest logician of all time.